VeriCite DocumentationUser GuidesBlackBoard User Guide Instructor ArticlesHow do I filter the VeriCite LTI assignment list? Assignments are grouped according by due date into Upcoming, Past, and Undated categories. You may choose to view only one group at a time if desired. On the Assignments screen, existing assignments are listed. Zoom: On the Assignments screen, existing assignments are listed. Click on the Upcoming button to view only assignments with future due dates. 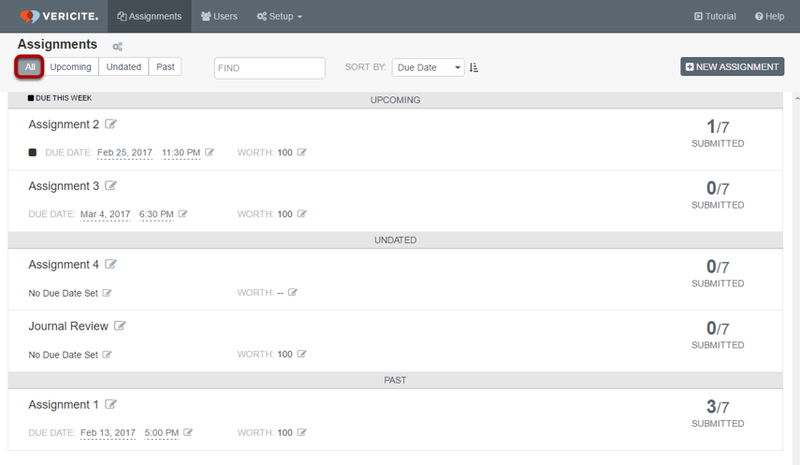 Zoom: Click on the Upcoming button to view only assignments with future due dates. Click Undated to view only assignments with no due date specified. Zoom: Click Undated to view only assignments with no due date specified. Click Past to view only assignments with due dates in the past. 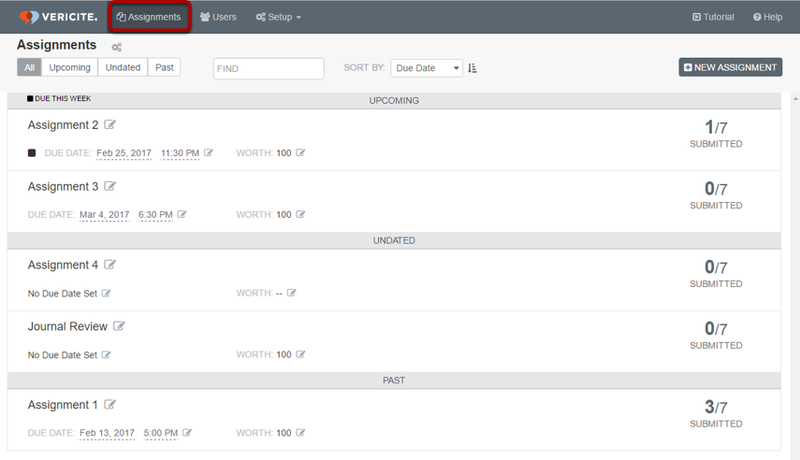 Zoom: Click Past to view only assignments with due dates in the past. Click All to view all assignments. Zoom: Click All to view all assignments. Prev: How do I edit a VeriCite LTI assignment? Next: How do I sort the VeriCite LTI assignment list?